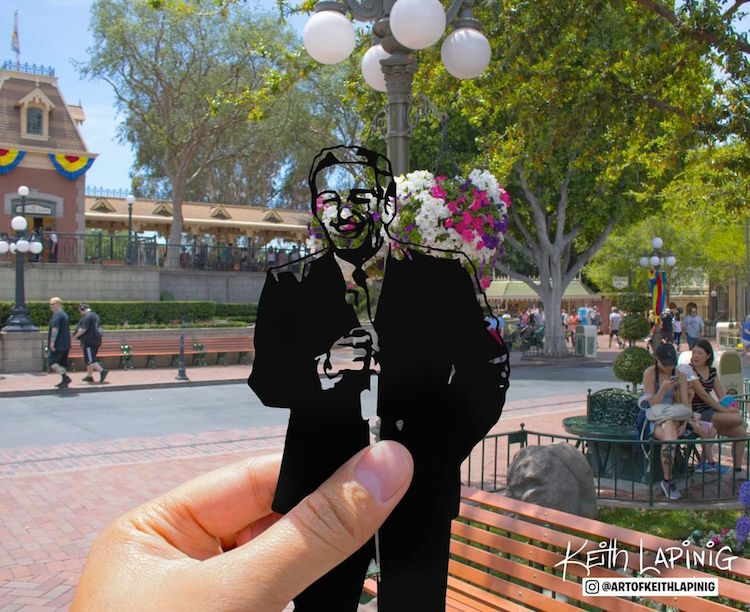 By day, Keith Lapinig works as an Interactive Design Manager at Disney, but his passion for his work doesn’t stop after office hours. 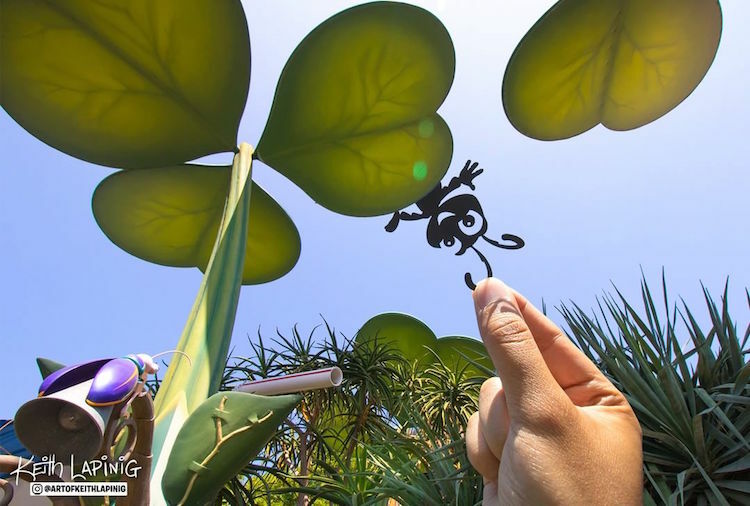 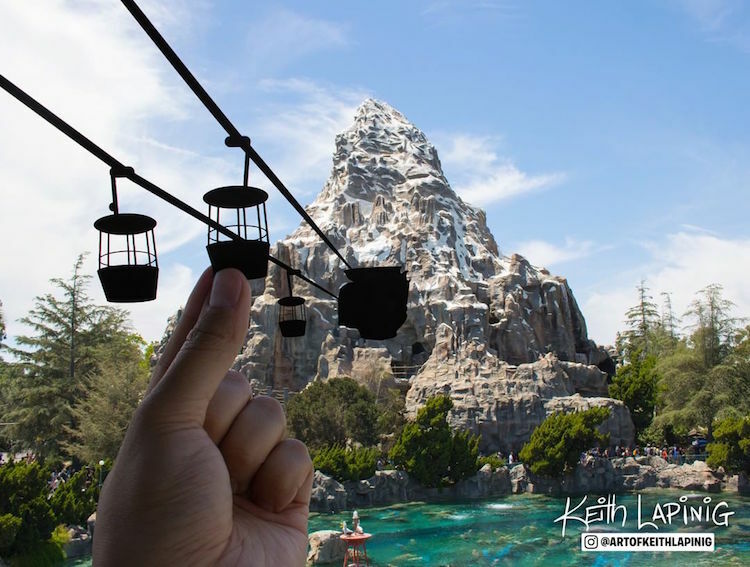 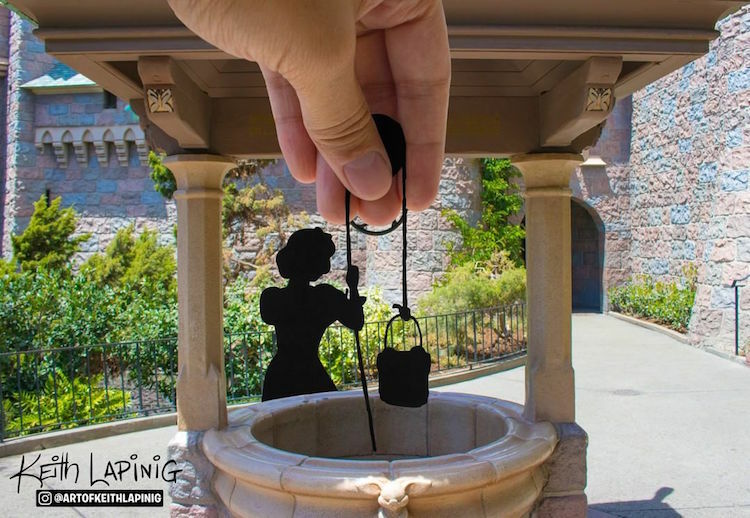 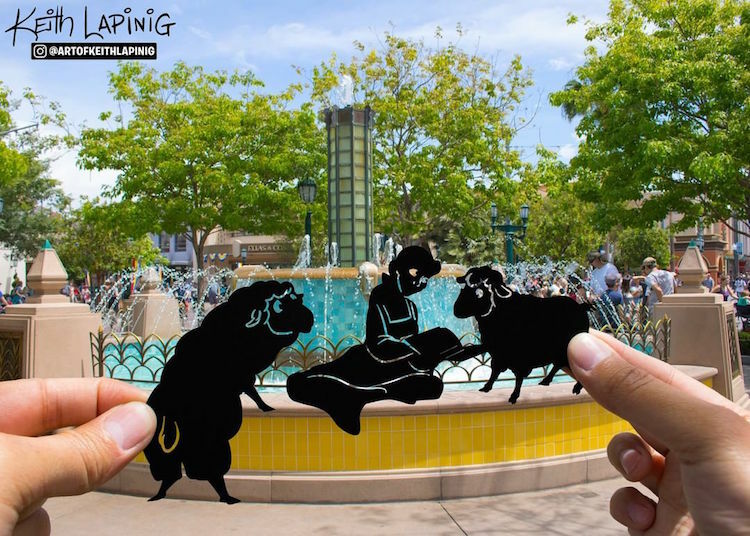 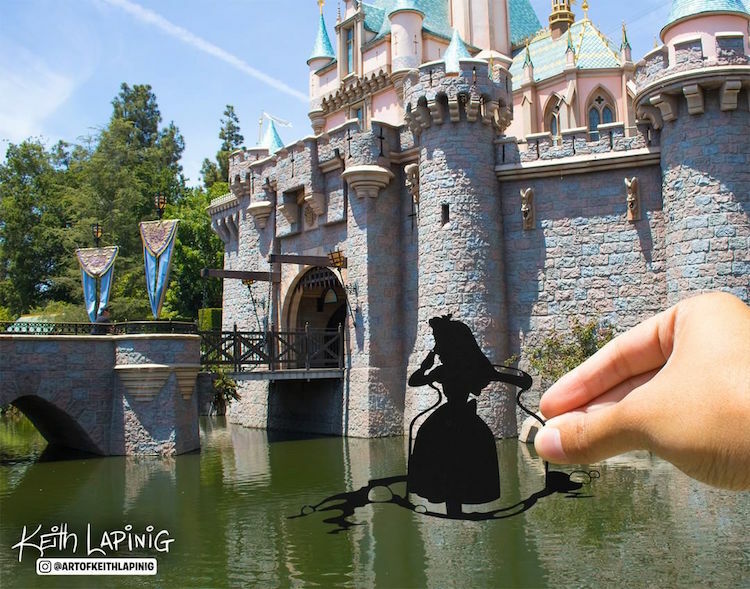 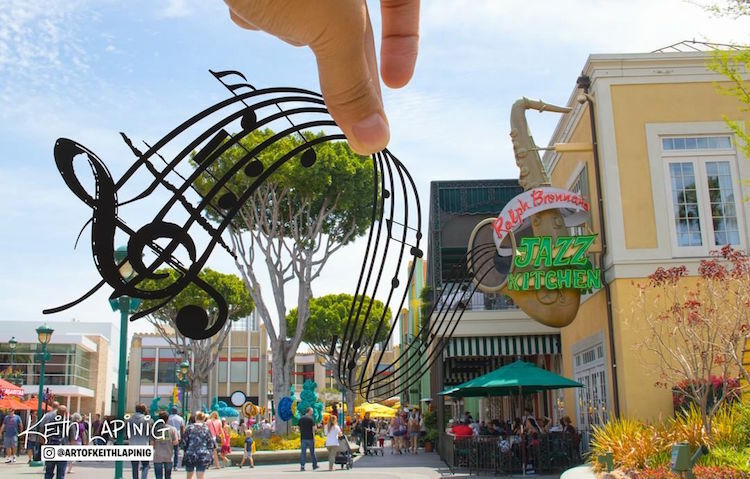 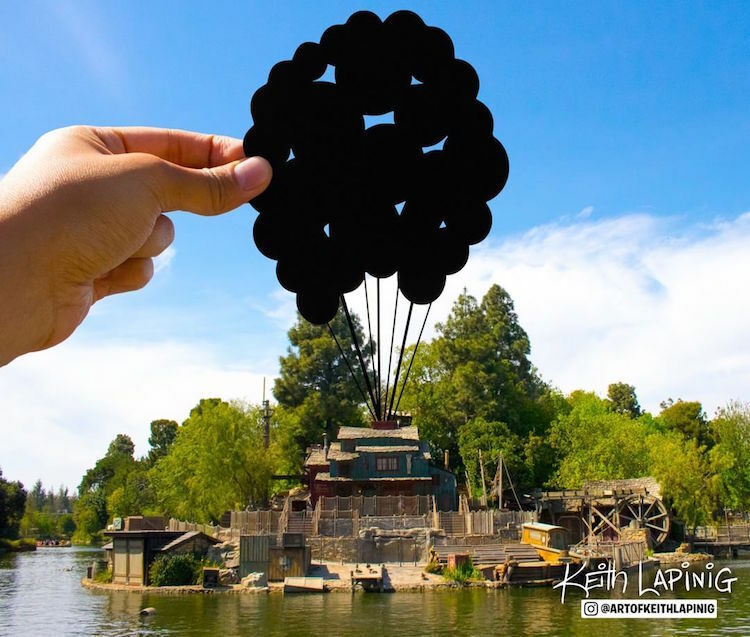 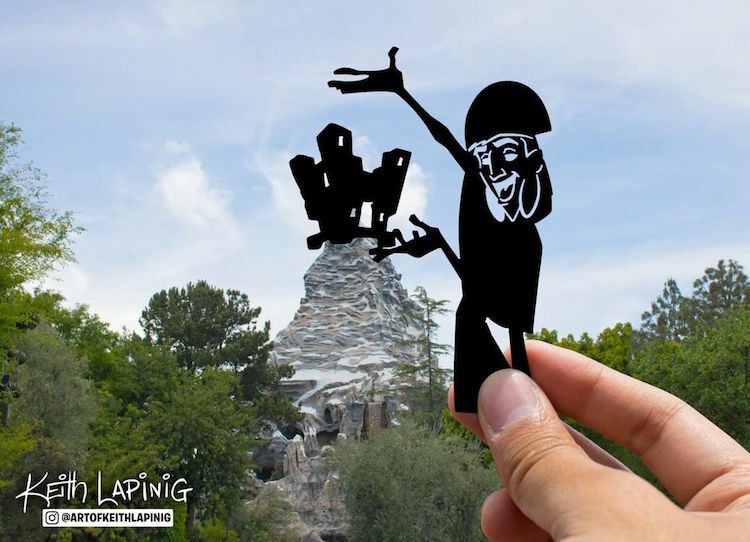 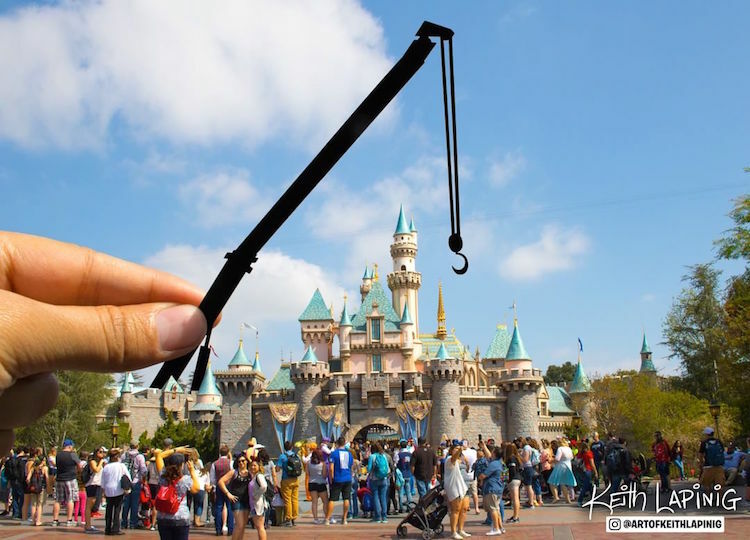 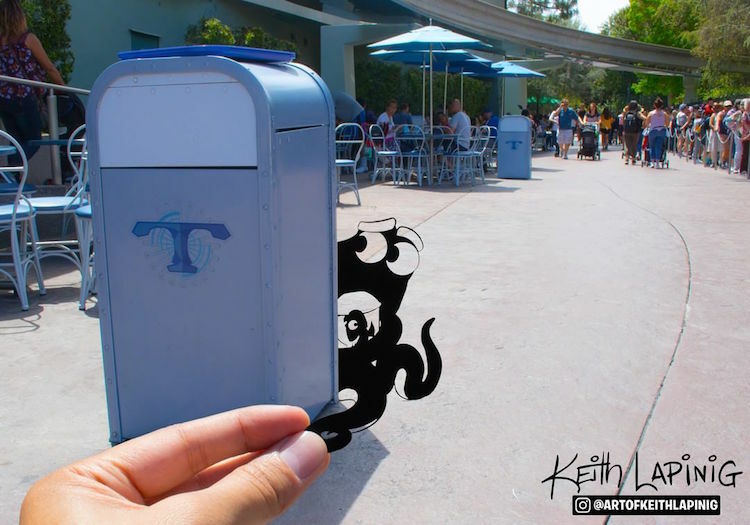 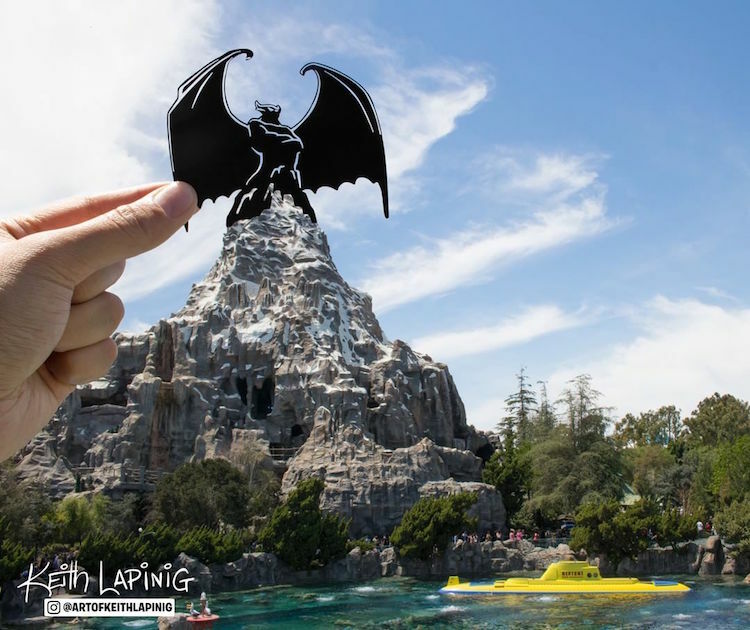 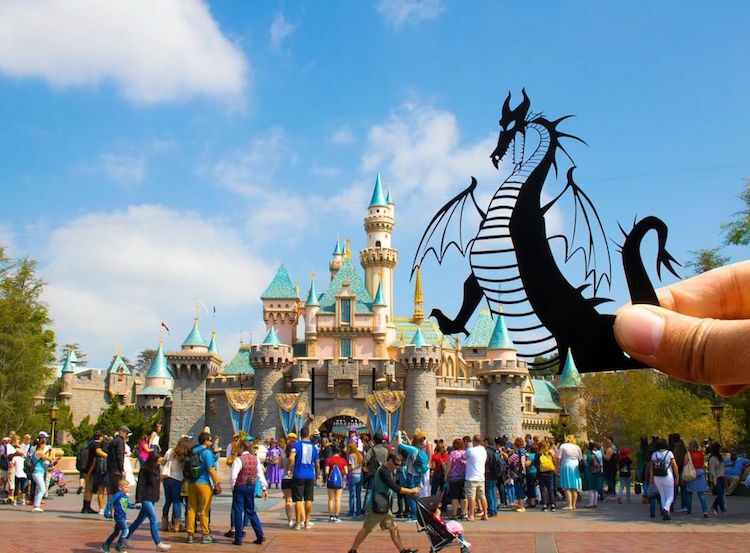 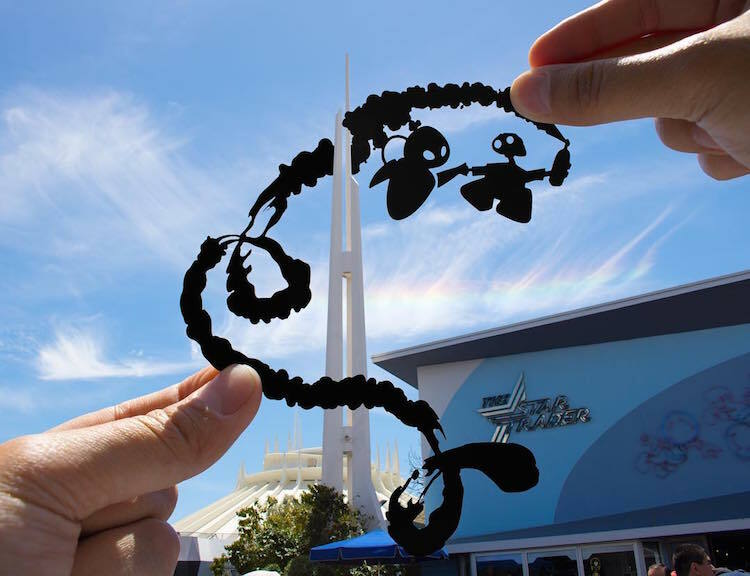 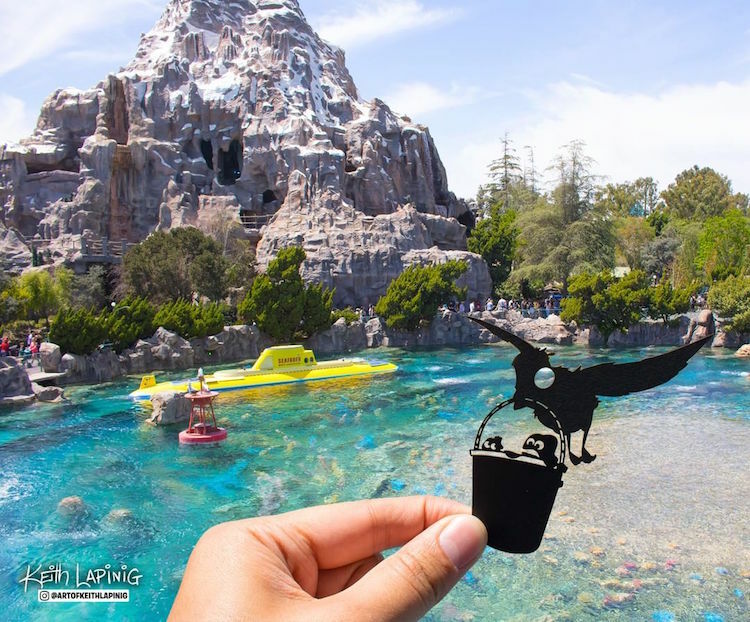 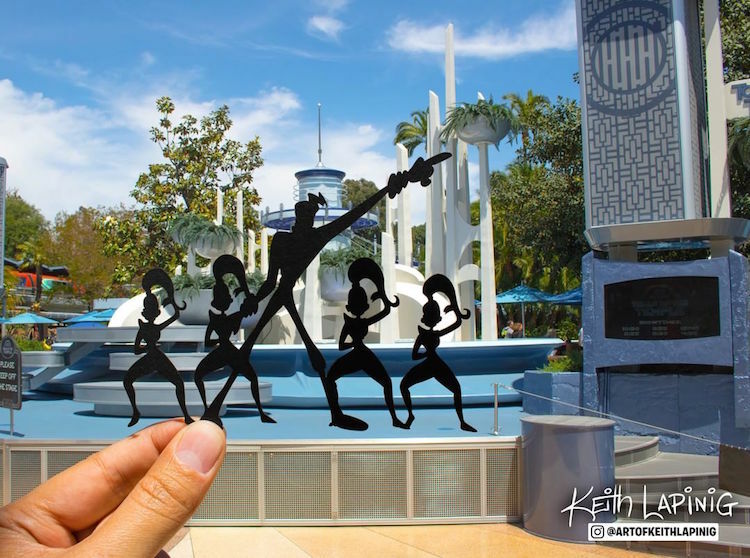 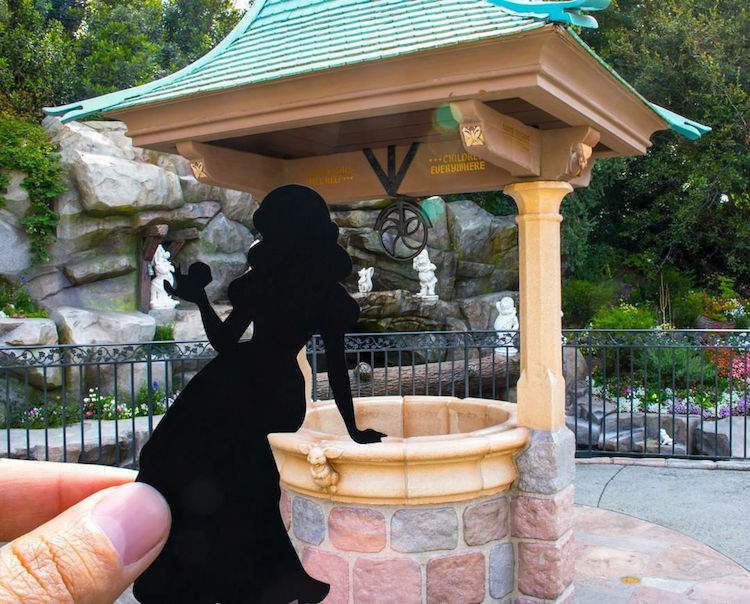 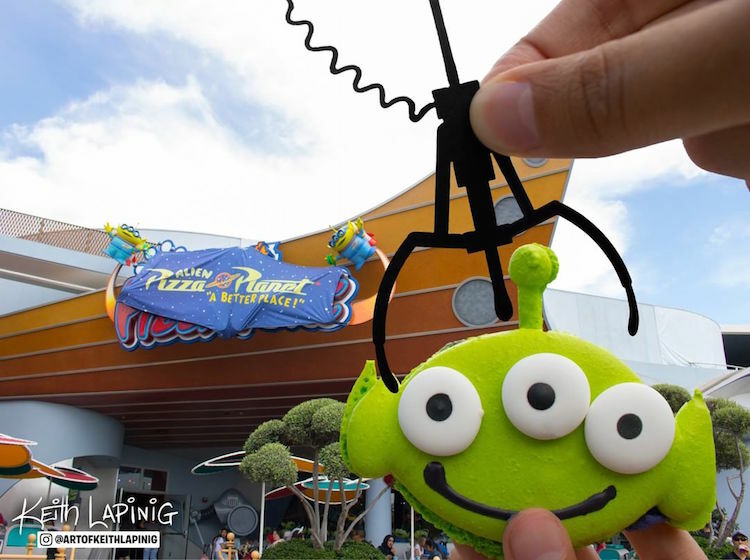 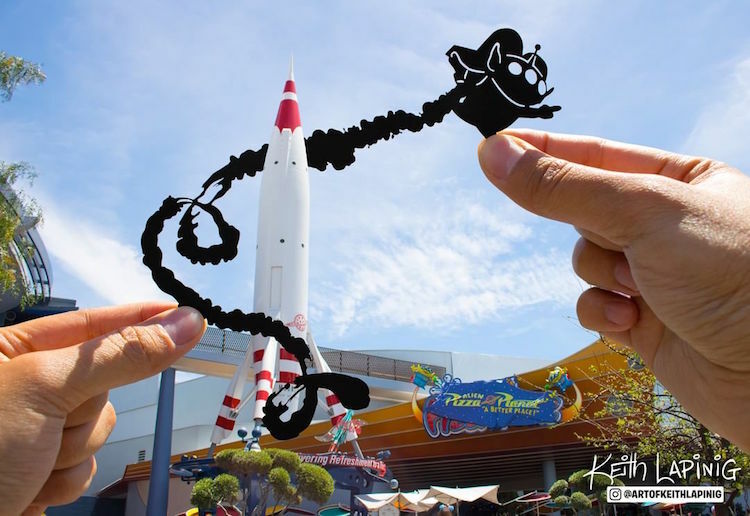 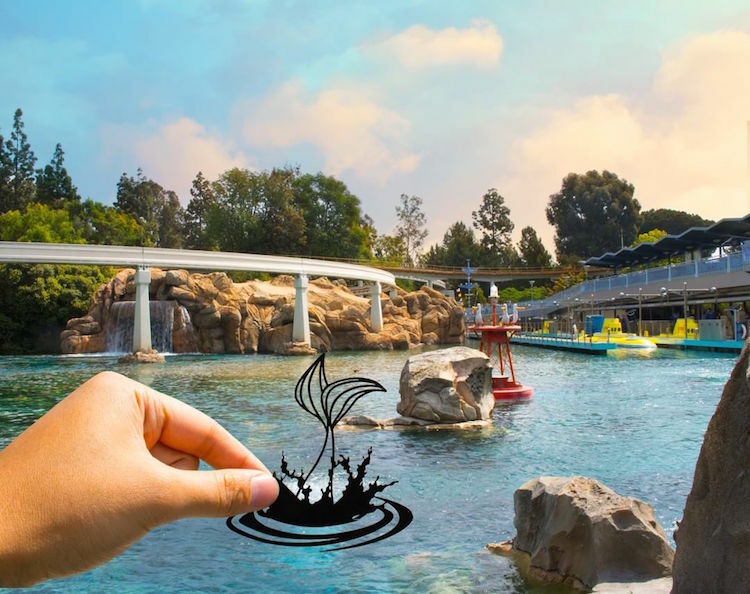 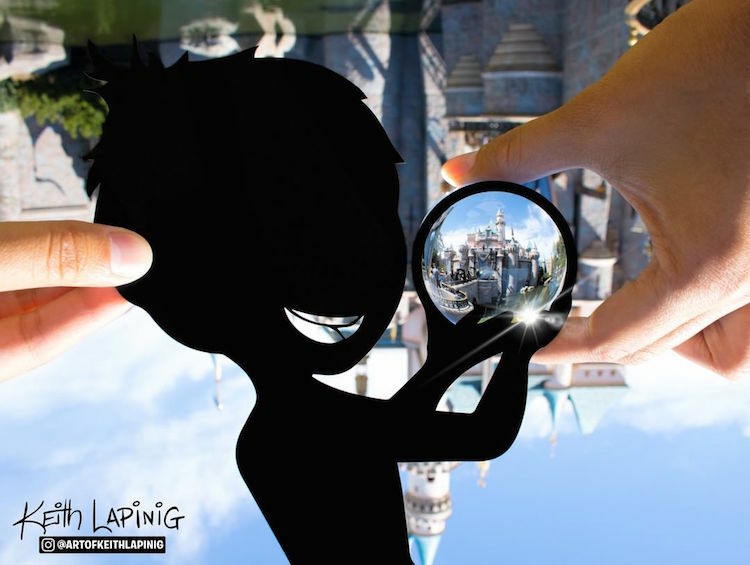 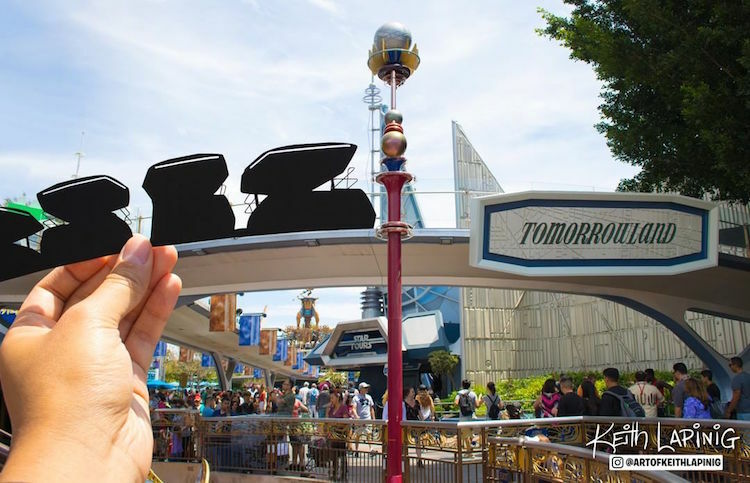 In his spare time, Lapinig creates whimsical paper cutouts of classic Disney characters and holds them up to real life scenes at Disneyland parks. 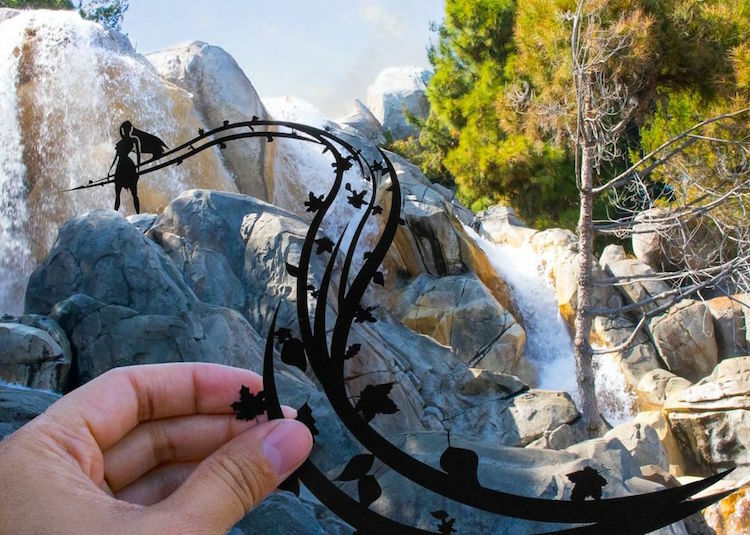 The artist then photographs each paper art composition and posts them on Instagram, creating his own fairytale narratives.